The new Bajaj Pulsar NS 160 gets more refinement, paint scheme and body graphics. Hat tip to Youtuber Strell for sharing the video review of the motorcycle. Bajaj Pulsar series are among the highest selling bikes in the country. The new 2018 Pulsar NS 160 comes in with new features and color options to impress buyers, though mechanics stay unchanged. Design is based on the NS 200 and the motorcycle is positioned above the Pulsar 150, both where pricing and features are concerned. The most notable feature on 2018 Bajaj Pulsar NS 160 is its LED daytime running lights in the front. It also receives engine start and kill switch, auto cancelling indicators and a digital/analog instrument console along with new alloy wheels fitted with 80/100 front tyre and a 110/80 rear tubeless tyres. Bajaj Pulsar NS 160 is positioned on the same perimeter frame as the NS 200 but gets smaller tyres and a smaller 240mm front disc. 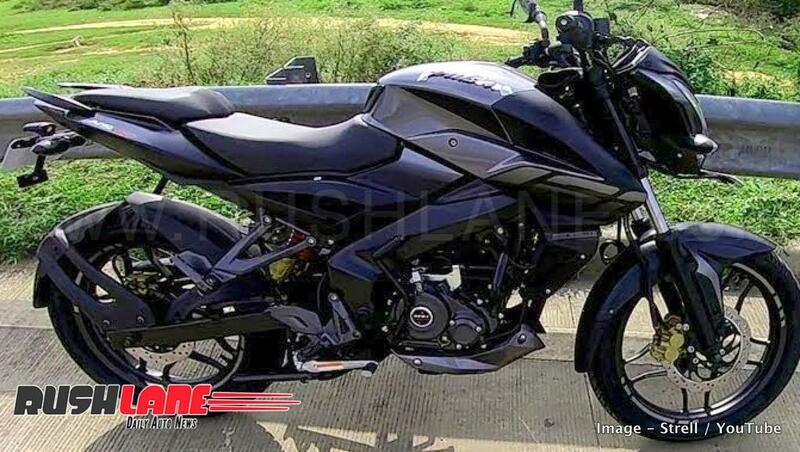 Bajaj Pulsar NS 160 is priced at Rs 1 lakh on road, Bangalore. ABS option is not on offer yet, but is being planned by the company which could come in at a later stage. 2018 Bajaj Pulsar NS 160 is a naked bike. Here is the first video review of the new Pulsar 160. It has been created and posted by Strell on Youtube. In the video he draws attention to the new bike’s features, performance and ease to ride capabilities. The video also shows off the new alloy wheel design with is a new feature added to the NS 160. Watch the video below. Color options include black, red and white. The NS 160 weighs a total of 142 kgs and gets telescopic forks in the front and monoshock at the rear. It continues to be powered by the same 160 cc, single cylinder, oil cooled, 4 valve engine seen on its earlier counterpart. This engine offers 15.5 PS power and 14.6 Nm torque and comes in mated to a 5 speed gearbox. In terms of competition, 2018 Bajaj Pulsar NS 160 competes with the Honda CB Hornet 160R, Suzuki Gixxer and Yamaha FZ-S 2.0 FI.